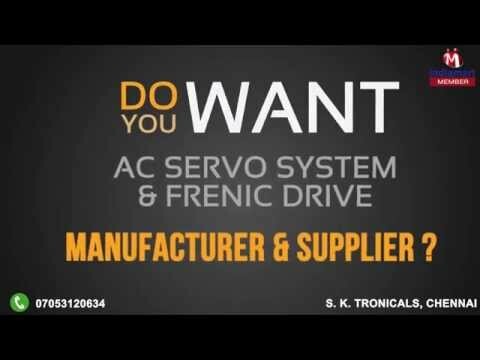 Welcome to S. K. Tronicals, established in the year 2010, we are one of the eminent manufactures, suppliers, distributors, wholesalers, traders, retailers and service provider of AC Drives & Control System. The company is offering an extensive range of products including FUJI Frenic AC Drives, FUJI AC Servo System and FUJI HMI POD Human Machine Interface. The extraordinary products are manufactured by us and our vendors, with the greatest quality raw material for reliable operation and strength proof mechanism. Besides that, the company has installed the modern and advanced technological equipments and machines for enhance performance by the product even when intensively operated. The company ensures the critical and accurate examination of the products on the basis of quality standards and consistency with high rate of functionality. Our valuable clients can also avail commendable Maintenance Services for the complete range. We are authorised distributor of Fuji Electric.